Meri Punji (meaning 'my capital') is a platform created with the intent of looking after your investment needs so that you can comfortably achieve your financial goals. Every individual is unique and so are his or her investment needs. 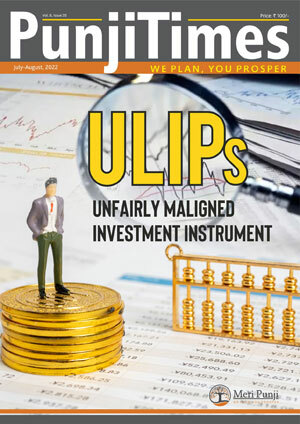 Investment planning must always be aligned with one's personal and financial goals. Hence, our approach is to help you chalk out an investment strategy that is best fit for 'you'. We consider ourselves educators rather than advisors. We educate about the various forms and kinds of investment to help you make better informed decisions. With a team of experienced and dedicated professionals who keep a constant watch on the financial environment, we periodically review client portfolio and re-balance investments to maintain an optimal and consistent debt equity mix. We also provide a 24x7 online access to our clients' individual portfolios to encourage transparency and open communication. While constructing a solid and formidable pillar of 'punji' for our clients, we invest in a foundation of strong relationships with them! We all have aspirations and working towards them is what drives us. Make your life more fulfilling by achieving your goals. All that is required is some foresight and discipline. Once your goals are set, you can chalk out an investment plan to meet your objective. Structure your investments keeping in mind your existing assets and reserves and cash flow cycle. While you should invest in a future; you should also enjoy the present! Your job will support you till the age of 65. After that you still have an average of ten more years to look forward to. Let your retirement be as glorious as you envision it today. Work towards creating a pool of resources so that finances are the least of your concerns in your old age. A suitable investment strategy will put your money to work so it can grow and multiply for you while you sit back and cherish the good life. Better sooner than late and better late than never! also enjoy the present! Inflation is a given in the times we live in. Every year we see prices of goods rising. A pet bottle of cold drink that used to cost ` 15 now costs more than the double. Which means even if you maintain the same lifestyle, your spending will increase every year due to inflation, directly affecting your disposable income. With the purchasing power of money falling, you need to ensure that your investments grow at a rate higher than the rate of inflation. A stitch on time saves nine! Compounding means interest on previous interest earned. This means your principle keeps growing results in more earnings each cycle. It is the financial equivalent of a snowball rolling downhill. With each revolution, the snowball gets bigger because it picks up more snow. Compounding produces a snowball effect with money because the earnings each year contribute a little more to future earnings. The piggy bank is only going to get fatter! Financial freedom is when one does not have to curb one's desires for the lack of money. Money is the means to an end, not the end itself. Achieve financial freedom so you can pursue things that are truly meaningful to you without having to worry about your finances. When it comes to the pursuit of financial freedom, it is always better to be the tortoise of the race and invest one step at a time. After all, slow and steady wins the race!